We all know that reading is a vital part of a child’s education. Slipping steadily behind their peers must be a daunting experience. Every child will respond differently. None will be happy about it. I am often told that, as a parent, you want your child to catch up and enjoy all that reading can offer. Concerns about self-esteem, attitude to school and a fear for your child’s future may also be your concern. We receive referrals from The Dyslexia Association when their skilled assessors can see that a child has features that suggest a more general underlying developmental problem. Sometimes, these children do not fulfil all the criteria for a diagnosis of dyslexia, but they are most definitely having problems in the school environment that is impacting on their reading! We also receive optometrist referrals who often identify good visual acuity but poor use of the eyes working together, due to developmental immaturity. 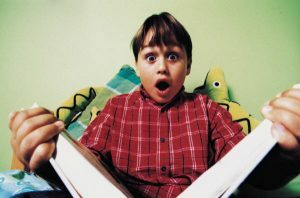 Usually, in these cases, it is not only the reading that shows increased maturity!